Last night after I put Max to bed..and had a little glass of wine ;)..I was browsing my new thrifted cookbook and bookmarked a bunch of desserts I wanted to try. We have a ton of bananas in our fridge at the moment so I hopped on over to the banana section. 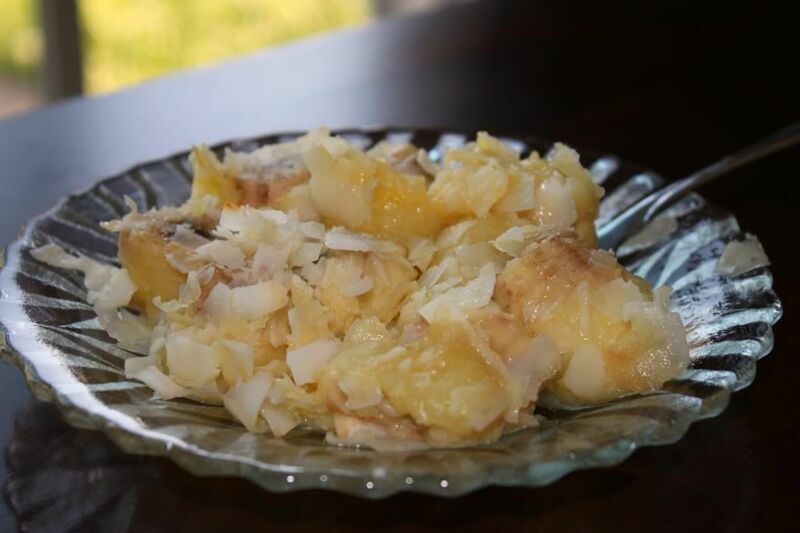 I spotted something that sounded delicious...Baked Banana Ambrosia! ...I had to google to word ambrosia because I had no idea what it meant. According to dictionary.com it means "The food of the gods"....there was also another meaning that said it meant "A fruit dessert made of shredded coconut and oranges"...Boring. I like the first definition. 1. 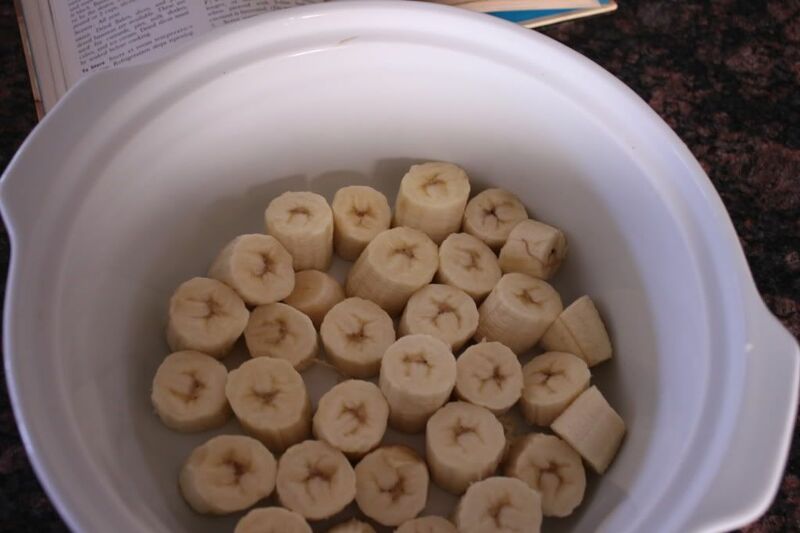 Cut bananas into little slices. Place them in a baking dish that has a lid. 2. Combine orange juice, lemon juice and honey in a small bowl. 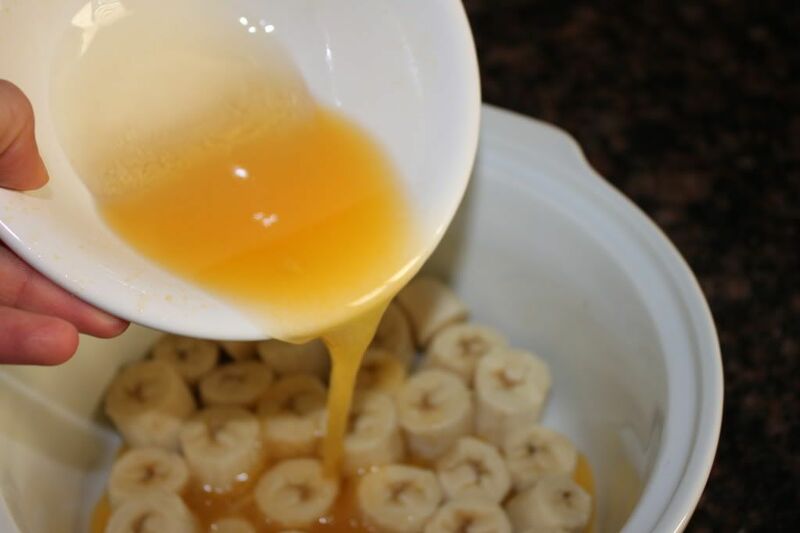 Pour over banana slices. 3. Pour coconut over bananas; cover. 4. Bake at 400 degrees for 12 minutes. Such a simple YUMMY little treat! I have to try this one but when Uncle Paul is not around. he hates Coconut. Joe and I love it and jack likes it but not that much...It looks so yummy!!! Yummm!! 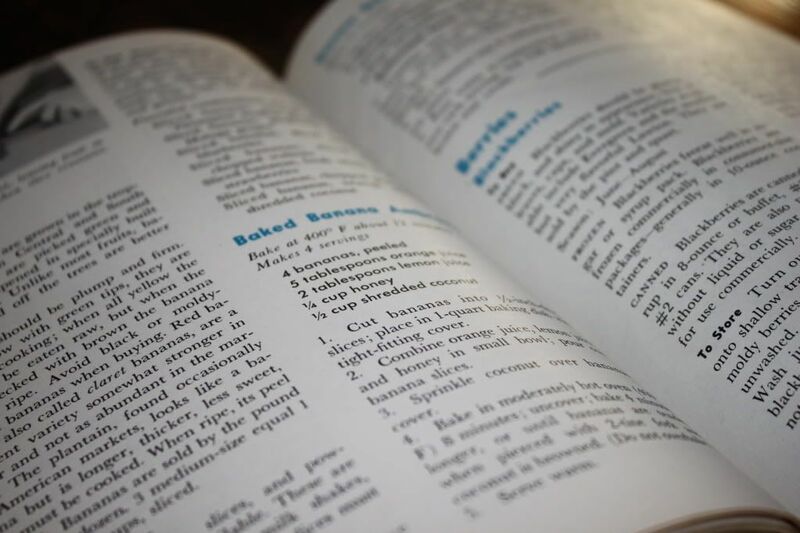 I love older cookbooks. The ingredients are so simple :) I might just have to try this, my kids are nuts over bananas. I'm your newest follower from Boost My Blog Friday! Stop by and say hello at the Frugal Invitation! P.S. I love the ease of this recipe, and can't wait to try it!! We made this the other night...so delicious! Thank you! Oh I am so glad to hear Lara!! So simple right?! Thank you for stopping by The Quick Journey. This dish looks devine. I think I might have to try it!!!! Hello! I just found your blog through pinterest. I am interested in making this recipe, but have a quick question. 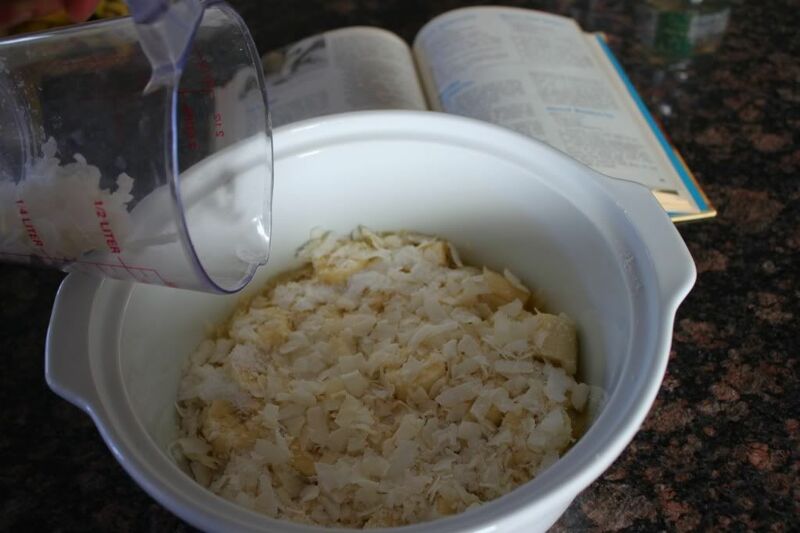 Do you use unsweetened or sweetened coconut? I have both in the pantry. Thank you!